Preheat oven to 350. Place sweet potatoes in pot, cover with water and bring to a boil. Reduce heat to medium-high; cover and simmer for 20 minutes or until tender. Drain and place in large bowl, mash and cool slightly (I use a potato ricer to mash the sweet potatoes). Stir in egg whites, syrup, 2 T brown sugar and vanilla. 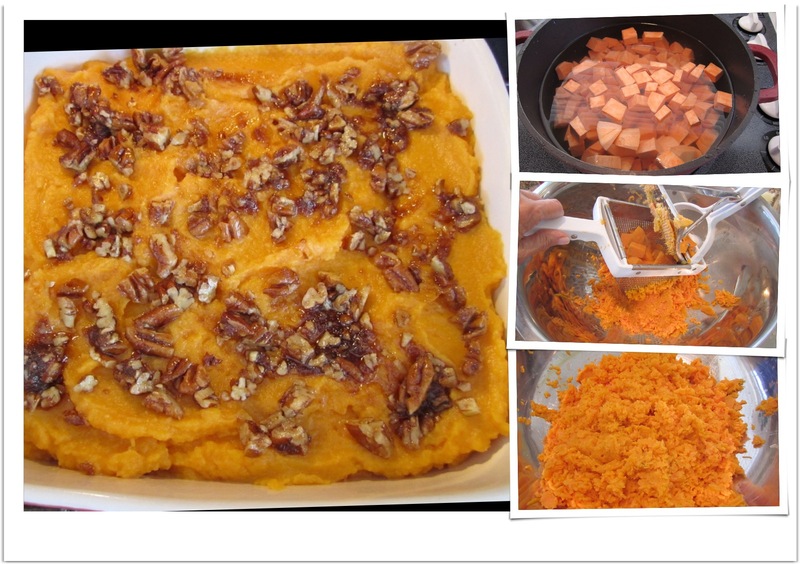 Transfer sweet potato mixture to an 8 inch square baking dish coated with cooking spray. Combine pecans, 2 T brown sugar, butter and cinnamon; sprinkle over top. Bake, uncovered at 350 for 30 minutes. Sprinkle with cranberries and pineapples. Bake 5-7 minutes more. Serves 8. This entry was posted in Sides & Misc. 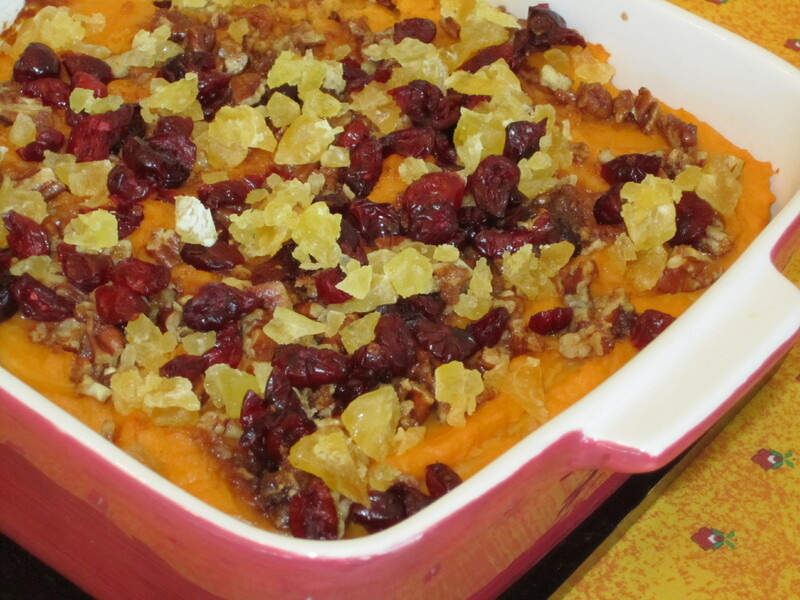 and tagged cranberries, PINEAPPLE, recipes, sweet potato casserole, Thanksgiving sides. Bookmark the permalink.